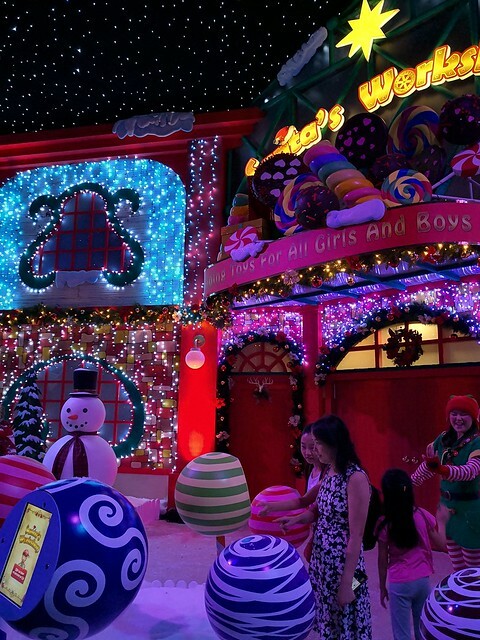 The answer is Resorts World Singapore (RWS). Hahaha. This past year we’ve been pretty busy with work (hi Colony looking at you) and also saving money hahaha so we’ve foregone fancy long haul holidays and spent more time exploring our own region. We went to Bali, Legoland, and Singapore several times. 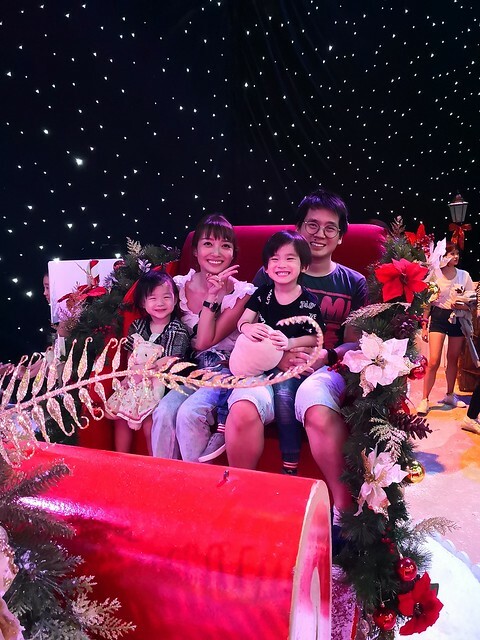 We’d always wanted to make a trip to Universal Studios Singapore (USS) and recently Resorts World Sentosa Singapore contacted me for a Christmas trip to RWS! We not going to snowy countries for the year end holidays never mind! We have USS and RWS which turned out to be super fun! Here’s us at the entrance of USS (right after the giant globe). Penny wasn’t too keen on taking the photo as you can see. Anyway I was gonna write it’s my first time in any Universal Studios during Christmas but it’s not! I have photographic evidence wtf. 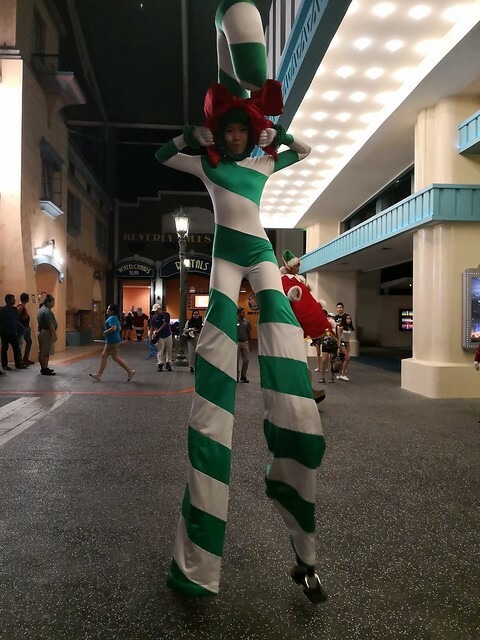 This was in Universal Studios Japan. 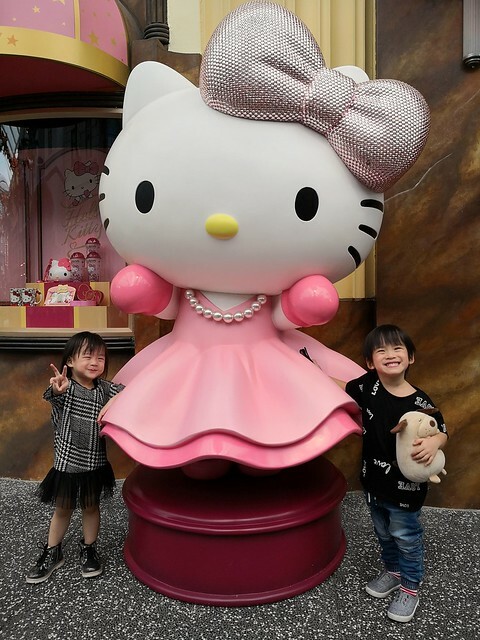 And now my kids are the ones posing with Hello Kitty!!! God I feel old. 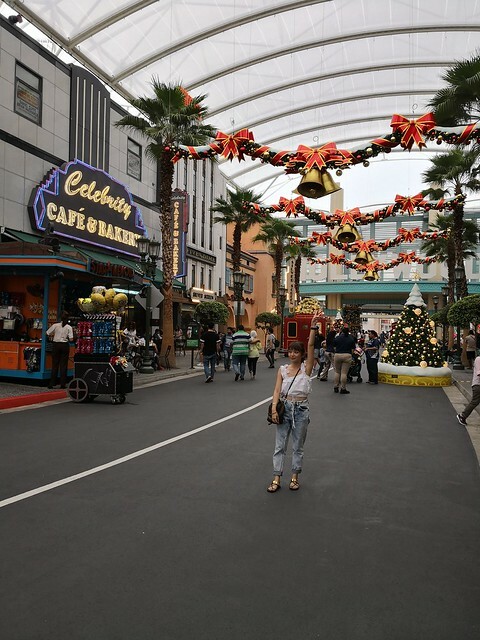 I was scrolling through my old pictures and I feel like USS is even more Christmassy than Japan where it’s actually cold in December. 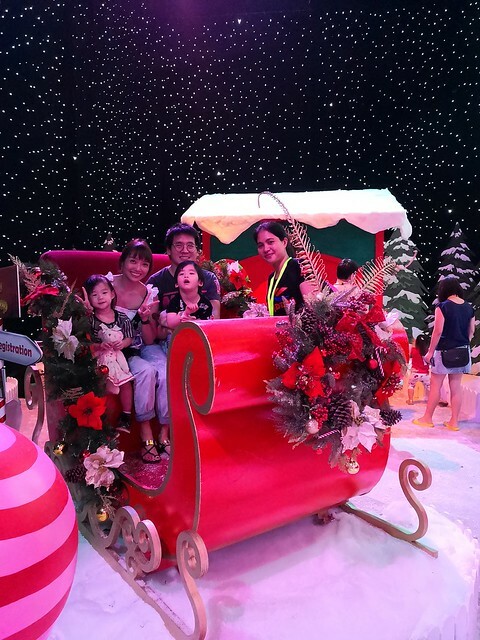 They have tons of Christmas related activities and attractions happening. 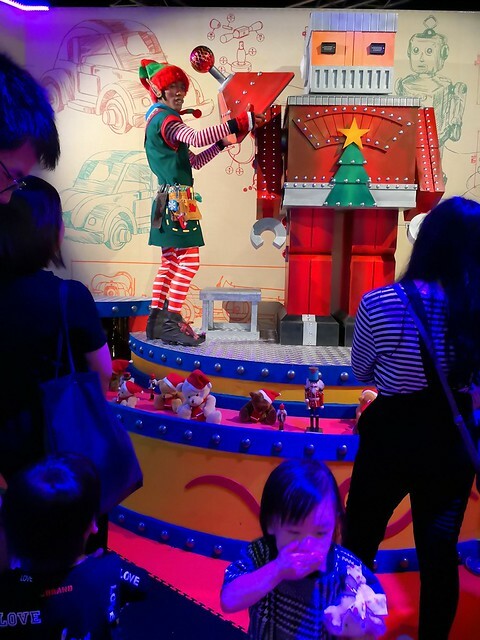 Like this Santa’s workshop! 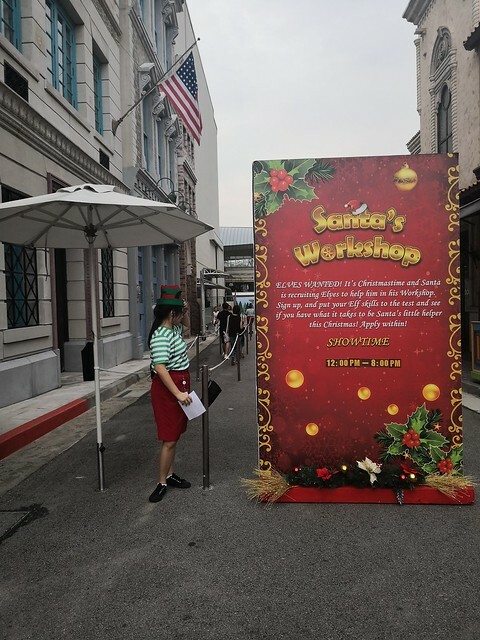 Basically it’s a walkthrough attraction where we learn how to be elves to help Santa for Christmas hahaha. Because guests enter in batches it can seem like a slightly long wait. 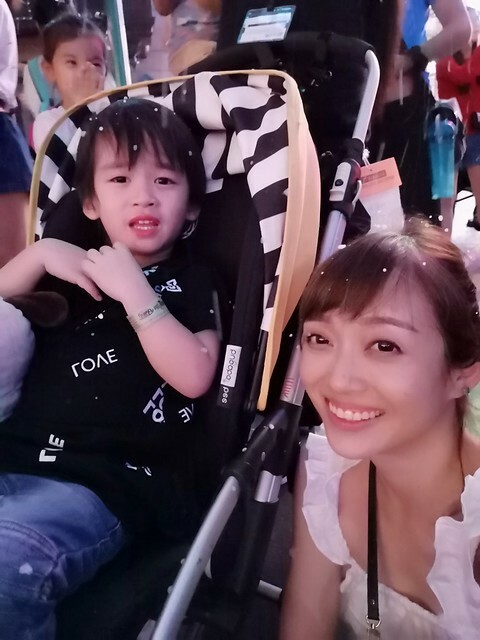 But USS funned it up by sprinkling fake snow on us while we waited hahaha. 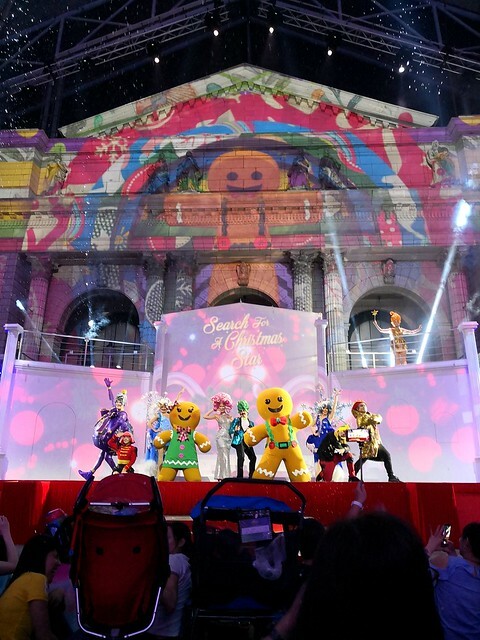 The kids were highly entertained…. until they realized the snow keeps coming. Entered and you get this! Omg am I giving away too much wtf. 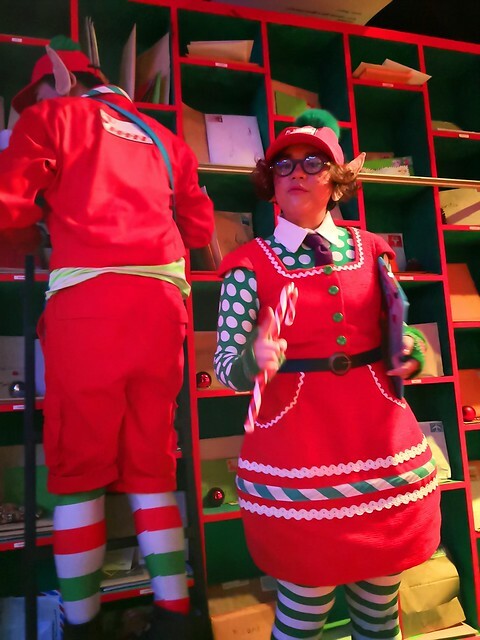 Sit Santa’s sleigh first. Kids very obliging ah! One with the elves! Fighter damn sien already itching to start hahaha. And one more with Dada who came along for the ride! (literally lol). Here’s a robot building challenge. I dunno why Penny like this hahahaha. Before we can meet Santa in the end! You see this samseng Penny’s face lolol. Milk break after getting their elves certificate hahaha. We stopped outside Mel’s Diner and listened to this jukebox quartet perform Christmas songs. FEELS. Sorry had to do this. Main Street is my favorite part of Universal Studios! My tastes in music and fashion date back 30 years before I was born I swear hahaha and Main Street is so retro and nostalgia evoking! Because look who we bumped into on Main Street! 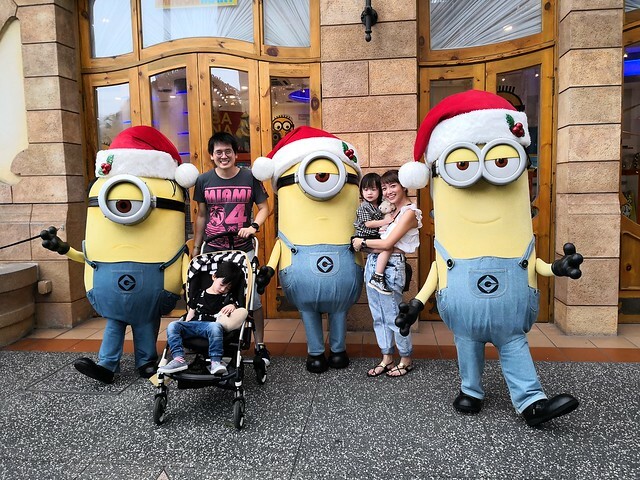 Before we went to USS I told Fighter and Penny that we were going to meet the Minions (one of their favorite characters) and Fighter was soooo excited about it. 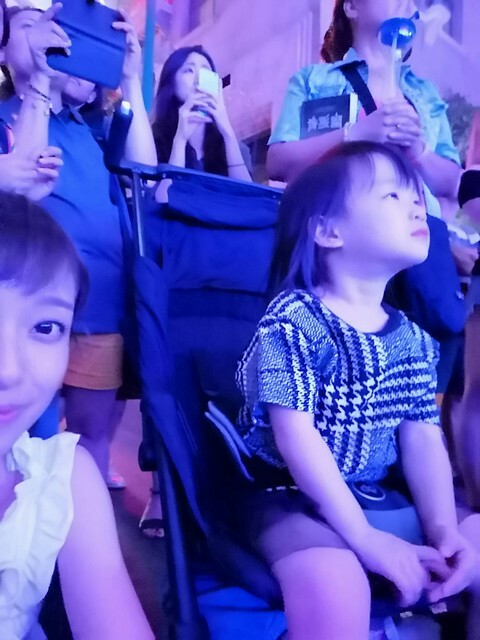 But look what happened when we actually saw the Minions HAHAHAHAH. Don’t blame me leh I tried to wake him up but he promptly fell asleep again. Angry cos he missed his heroes hahahaha. But it’s ok cos we managed to catch a Christmas show on Main Street too! I think he couldn’t fathom how come these characters dressed like this hahahaha. Penny was pretty in awe though. I think this was Penny’s favorite part of USS. 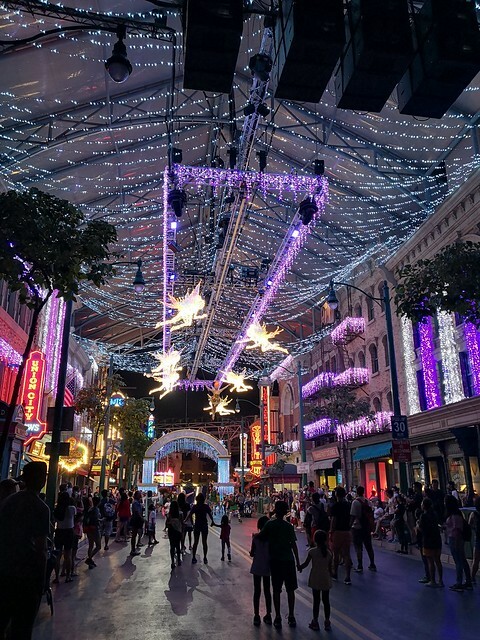 When the illumination lit up the entire street and there was a Christmas fairy (who was really an acrobat) gliding and twirling in the air above us. And then all the angels lit up! Her eyes were wide and she was just staring up in amazement. And then later on when we were heading back to the hotel, she kept asking me where the fairies were hahahaha. Right before we exited though, we bumped into another Christmas parade! Wanted to stay longer and watch but by then both critters were whining and rubbing their eyes already. 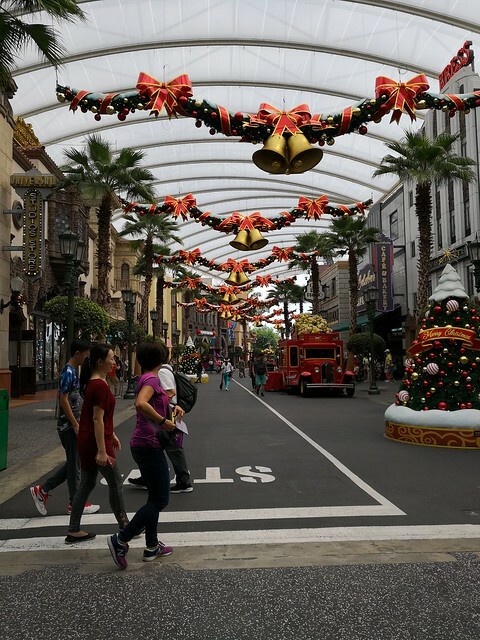 So bye bye Universal Studios Singapore! 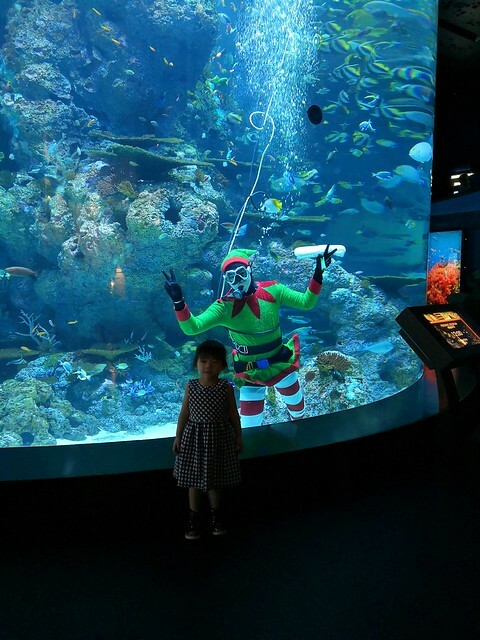 We also managed to make a trip to the SEA Aquarium where the Merry Fishmas program was going on! The kids got a piece of paper with stamp boxes and as we made our way through the aquarium, we had to find the sea creatures that was in the paper and stamp to receive a prize at the end. 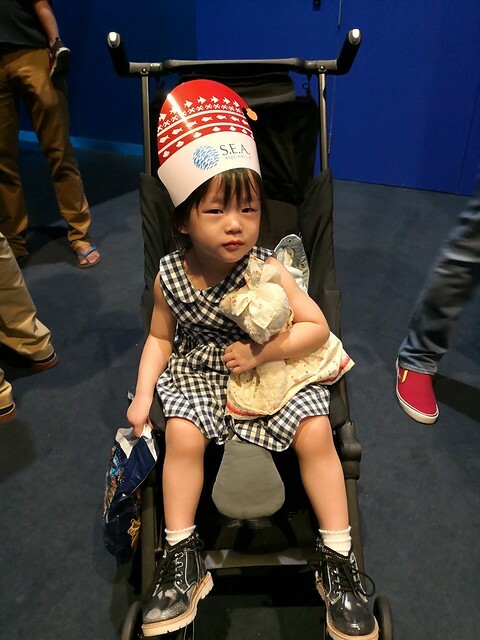 Here’s Sepet Baby and her SEA Aquarium hat haha. Christmas elf cleaning the tank LOLOL. For the first time ever, Penny ran up to him and asked me to take photo for her. I think she was as impressed as I was by the dedication of the diver, wearing an elf suit above his diving suit hahaahha. 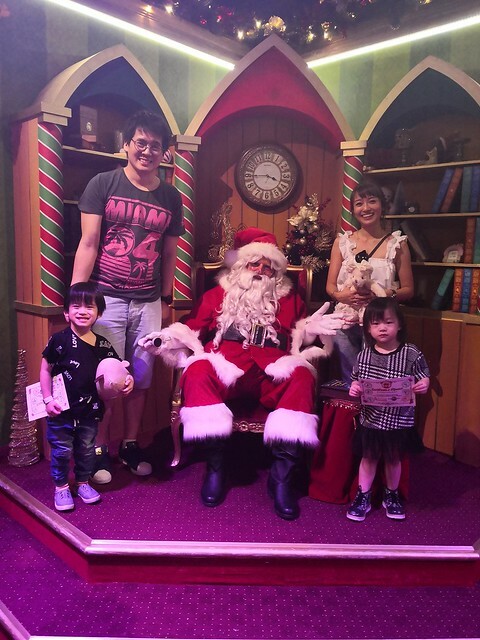 Very glad we took the kids there in time for Christmas! 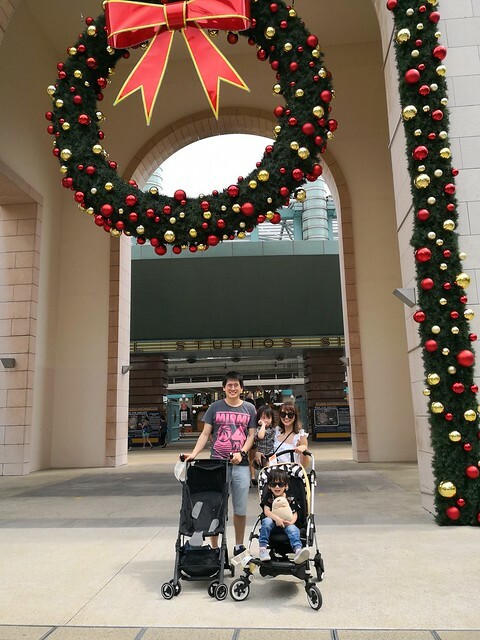 I’d heard that Universal Studios is less suitable for toddlers their age cos the rides tend to be a little older and there’s minimum height requirements (92 cm for most rides FYI) but it didn’t feel like a problem to us. 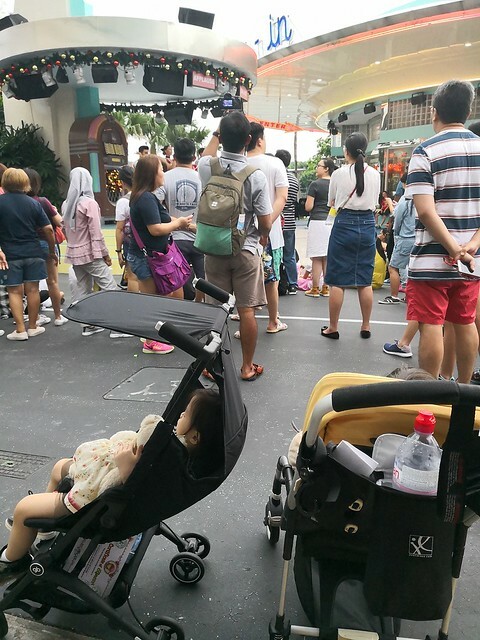 Bringing little kids around can be pretty slow at times so we didn’t set a fast pace anyway. 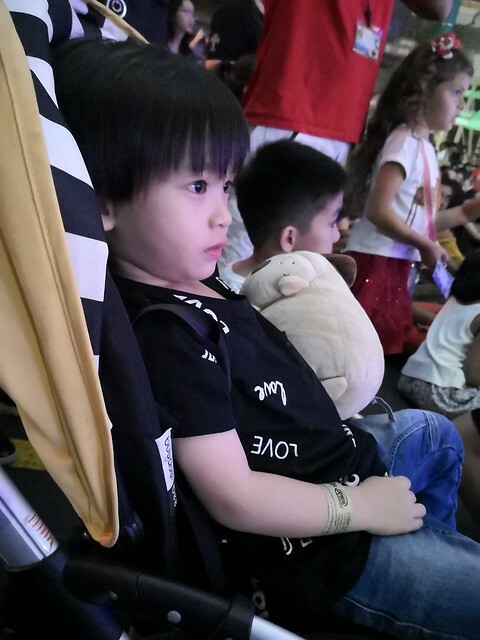 The few rides that they could go on was enough, and we filled the rest of the time just looking at things and meeting the characters and watching shows. Plus the fact that it was Christmas, there was quite a lot extra going on so our whole day was packed yo! Go check out USS if you have time! And watch out for my Instagram cos Imma be giving away passes to USS!!! 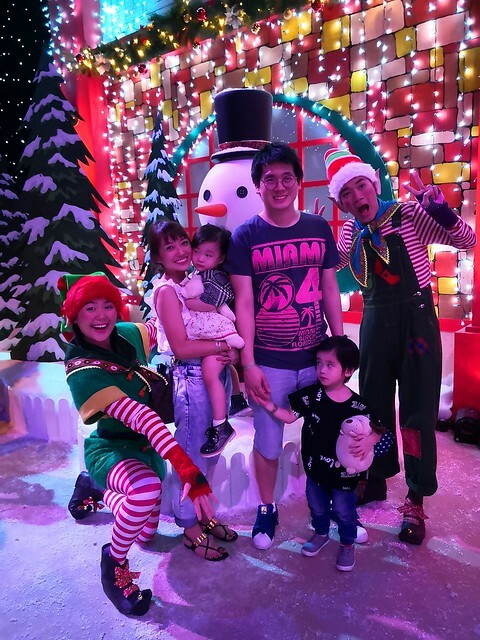 This post was written in collaboration with Resorts World Sentosa Singapore. Poor Fighter, missing the minions! Haha!